Ian Hamill, born and raised in Belfast, is another artist attempting to maintain the reputation that Northern Ireland is a haven for quality dance music. Exposed to the sounds of trance at an early age, the unique sounds it encompassed proved to be a massive influence for years to come. First starting off as a Dj in his teens and eventually moving into production with the completion of his studio in 2014, Ian has always went with the idea of quality over quantity. With his first production picking up support from Sean Tyas this only added drive to his production efforts. 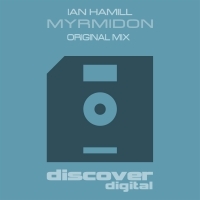 Now with his second track, Myrmidon, securing a release on Discover Records, this once again proves why Ian Hamill is going to be one to watch when it comes to quality trance music productions.